Now this is where the fun begins. Step 2. Hardware shopping. For my first shopping trip, I invited two of my friends (Martin and Fred) to come join me in my quest. We met at my apartment for some strategic planning and final blueprinting as well as going over a checklist I had put together. After some tweaking and fine tuning, we decided to pay a visit to a known computer parts zone near in a city about 30 minutes from where I live. 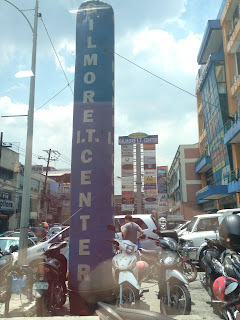 This place is called Gilmore IT Center, they have a multitude of shops located in the area, it's basically like a shopping mall for anything related to computers. We stormed the place, checklist in hand, cash in my pocket. Like I mentioned in Part 1, I went in search of what I consider the main organs of the rig first. My initial checklist for these two pieces of hardware were as follows: an AMD Phenom II X4 960T Black Edition for the CPU. This actually changed as we scoped out all the shops in the zone. The processor I was initially looking for was no longer available, apparently, these processors are already being phased out to make room for the newer FX series aka "Bulldozer" processors of AMD. This was something I initially missed out during the intelligence gathering phase which caused me to make adjustments on the spot. But I suppose this was bittersweet, after asking all the stores, apparently the Phenom II X4 960T Black Edition was no longer available on the market. All hope seemed lost but I went back to 1 store that had very knoweldgeable salespersons and they said they had 1 piece remaining for an AMD Phenom II X6 1100T Black Edition. I said I would come back after doing a quick check of it's specifications and canvassing around in other shops (one shop actually used the same item from store I previously went to and tried to raise the price on me! ), I finally decided to go back and take the last piece from the very first store I had checked. The processor I have selected is the AMD Phenom II X6 1100T Black Edition, it is a 3.3GHz Hexa Core CPU, I won't go into deep detail since everyone reading this probably has access to the AMD website anyway. :] Unfortunately though, I went over budget for this one because I had to shell out a little more cash for the processor I chose since the original one was no longer available. I had to sacrifice purchasing my Motherboard on that same trip which was the original plan because I went over budget, but for a well worth it purchase I think. Now for the Motherboard, I had originally chosen the ASRock 970 Extreme 4, and to avoid the "on the spot" adjustment, I decided to give the target shops a call to check on the availability of the Motherboard, and it's a good thing I did the day before because upon asking about the availability of this item, I have been informed that shipping is apparently on hold for this item with uncertainty of when it will be available. (I think it's just bad luck for me!) 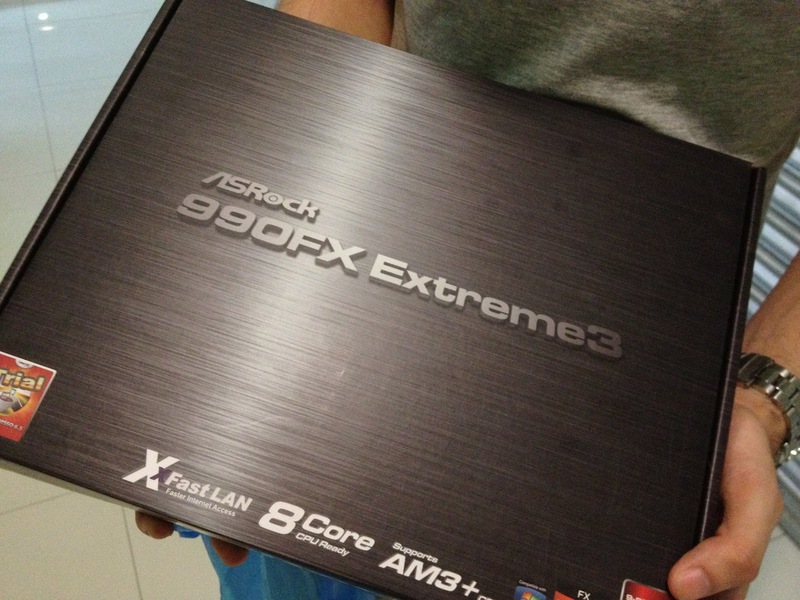 So I had to adjust again (at least I had a 1 day buffer to really think and do ample research on the adjustment I'm going to make) and I ended up choosing the ASRock 990FX Extreme3, it's about 900 bucks (Philippine Pesos) more than the original board of my choice which isn't so bad. Again I won't go into deep detail for this, just a side note, it's an ATX form factor board (I mentioned this here because this will come into play when choosing a Casing/Chassis, another tip I learned just recently). This is my second round buying parts, I brought my girlfriend with me for this trip (yes, she is that supportive. 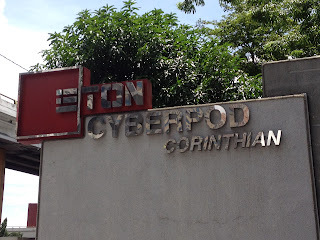 :D) this time, we head to another location known for composed of stores that sell PC Hardware which is called Eton Cyberpod. This location is nearer than the first place I went to, it's about 10 minutes from where I live and I made sure to reserve the item beforehand to ensure item availability, it took me just 10 worry-free and hassle-free minutes to make the purchase. As of this moment, I have completed what I consider the main parts of my rig. Now it's on to Phase 2. To be honest, I'm not too sure what Phase 2 would consist of, but rest assured my mental gears are turning to identify these. My rig build checklist is pretty much set but of course, I have left room for variables such as part unavailability (this seems to be quite common.) and price hikes/drops. Thank you to PCNetmiles (Eton Cyberpod Corinthian) for my Motherboard and CKY Planet PC (GIlmore IT Center) for my Processor! Stay tuned for the next part of my series which is Phase 2 of the Hardware shopping step (Step 2).